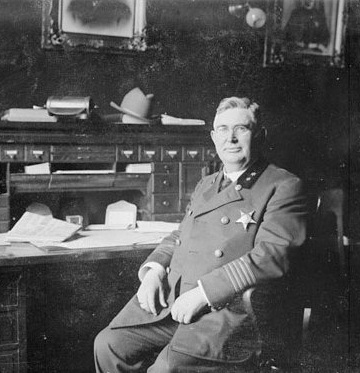 In this July 21, 1914 image of the imposing 6ft 1 1/2in Chicago Police Captain Max Nootbaar in his office with his typewriter, Nootbaar looks every bit a throwback to the days of the Wild, Wild West. 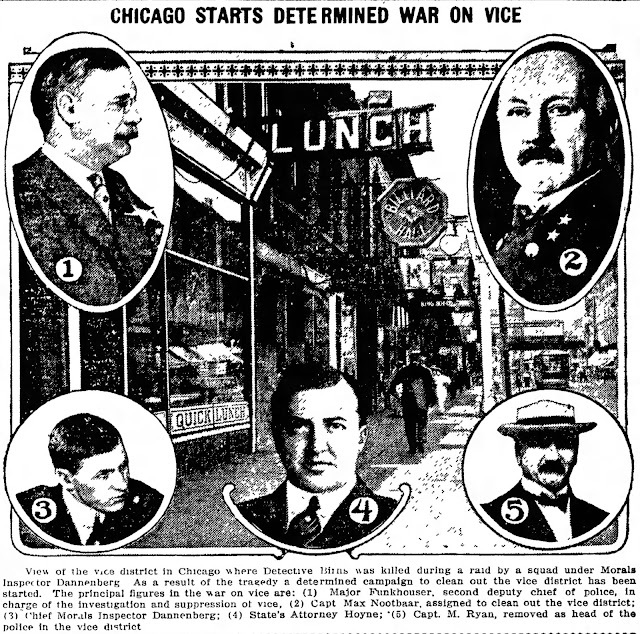 Indeed, one of the establishments Nootbaar targeted that year in his campaign to clean out Chicago's infamous red-light district, the Levee, was “Bathhouse” John Coughlin's the Silver Dollar Saloon on West Madison. The photo, however, only barely begins to suggest the larger-than-life personality which, in January 1944, noted American author Donald Culross Peattie described in a Reader's Digest article as "The Most Unforgettable Character I've Met". Nootbaar, background, working in the 7th Infantry headquarters at Fort Logan, Colorado, with Colonel Merriam. Nootbaar was a mere 48 when the photo was taken, but he looks way older. He had certainly packed in a lot of life from the day he landed in New York on the SS Republic from Liverpool, November 14, 1884, aged 18. Born in Hamburg on January 30, 1866, his later reputation for being the most "highly cultivated" man within the Chicago police force appears to have been, in part, based on his claims of a university education in Heidelberg and work as a Reuters journalist in London (surely all a bit too much for a lad of 18?). Describing himself as a clerk, however, he enlisted in the US Army in St Louis on July 3, 1885, and served five years with the 7th Infantry as regimental clerk under Colonel Henry Clay Merriam, first based at the frontier outpost of Fort Laramie, Wyoming, and from October 18, 1889, at Fort Logan, Colorado. Nootbaar became a United States citizen in Chicago on July 9, 1890, and returned to Germany for three years soon afterwards, to work for the US Consulate in Hamburg. He returned to the US as an aid to the Austrian Government at the Chicago Columbia Exposition of 1893 and joined the Chicago police force on December 14, 1896. 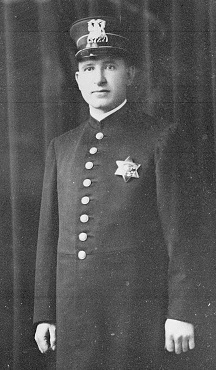 Within a decade he was a notable lieutenant to Chicago's famed Inspector George Marion Shippy (acting as Shippy's secretary). 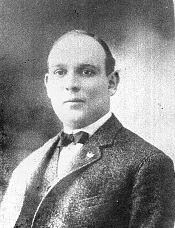 On July 16, 1914, Detective-Sergeant Stanley James Birns (above), 34, was killed in a gun battle in the Levee while leading a vice raid at 67 East 22nd Street. At first it was assumed Birns had been shot by a gunman from New York's East Side, Roxie Vanilli (real name Robert Vanilla), the cousin of Big Jim Colosimo's fellow Mafia mobster Johnny Torrio, but it later transpired that in the bloody confusion, another plains clothes detective, Officer John Charles Sloop, had accidentally killed Birns. 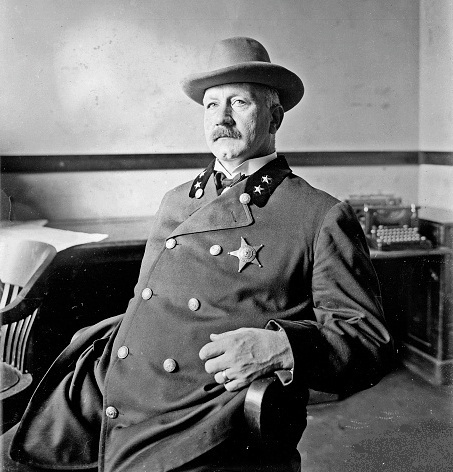 Unaware of this, and with Birns' death demanding instant action against the Levee crims, the Police Chief appointed by Mayor Carter Henry Harrison Jr, James Gleason (above), immediately sacked Captain Michael Ryan as head of the Levee vice squad and promoted Nootbaar, ordering him to finally "clean out the Levee". Jack Johnson with Lucille Cameron. 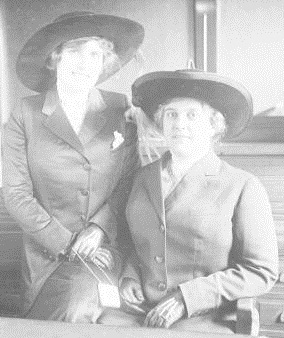 Lucille, 18, with her mother, Frances Cameron-Falconet, who pursued her to Chicago and tried to have her declared insane. Johnson's Café de Champion in Chicago. Nootbaar had "earned his stripes" in this type of work by running world heavyweight boxing champion Jack Johnson out of town in early November 1912. Nootbaar decided Johnson had worn out his welcome in the Windy City with 19 straight nights of high jinks at his Café de Champion on West 31st Street, keeping it swinging until the well small hours of the morning. 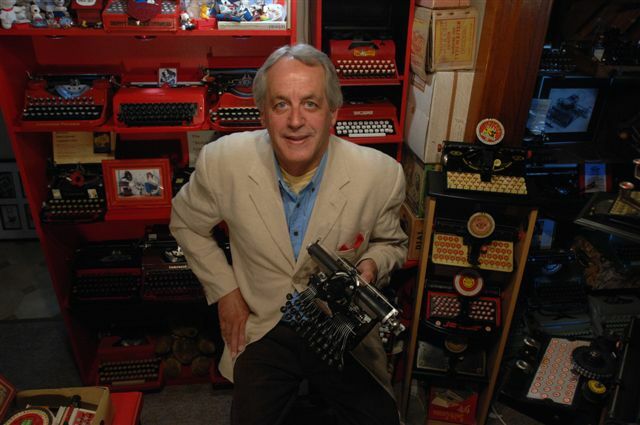 One cynical commentator suggested someone had failed to offer Nootbaar the usual bribe of a "cigar or two". Questions were asked in November 1917, nonetheless, because Illinois had laws guaranteeing equal rights for all citizens, to protect African-Americans against racial vilification or persecution. Nootbaar faced disciplinary action and suspension after taking a stand against white women drinking and dancing with African-American men, but quickly backed down. 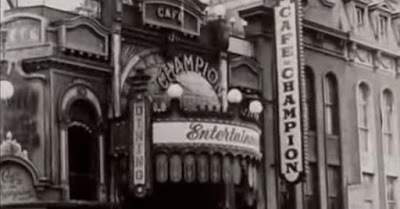 More to the point, though, was that two weeks before Nootbaar had ejected Johnson from the Café de Champion, on October 18, 1912, Johnson had been arrested on the grounds that his relationship with the then 18-year-old Lucille Frances Cameron violated the Mann Act against "transporting women across state lines for immoral purposes" - she was alleged to be a prostitute. Johnson later married Cameron, who had gone to Chicago to meet him at the Café de Champion and allegedly work for him there. 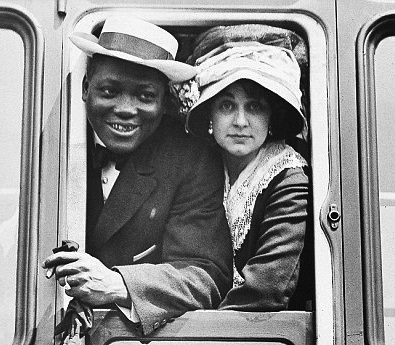 From 1913 the couple lived for seven years in exile from the US, Johnson having been found guilty of a second charge under the Mann Act, one not involving his second wife. Johnson is still waiting on his pardon! Still, it was rather ambitious, given efforts to clean out the Levee had already been going on for 4 1/2 years, and given he faced considerable opposition from high places, for Nootbaar to declare he would have the Levee spotless within 30 days. 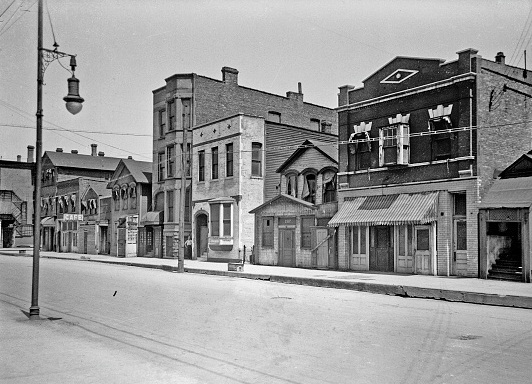 Remarkably, Nootbaar appears to have had at least some quick success, for on August 24, 1914, one of the last of the Levee's better known brothels, Freiberg’s Dance Hall, owned by Ike Bloom (real name Isaac Gitelson), officially closed. 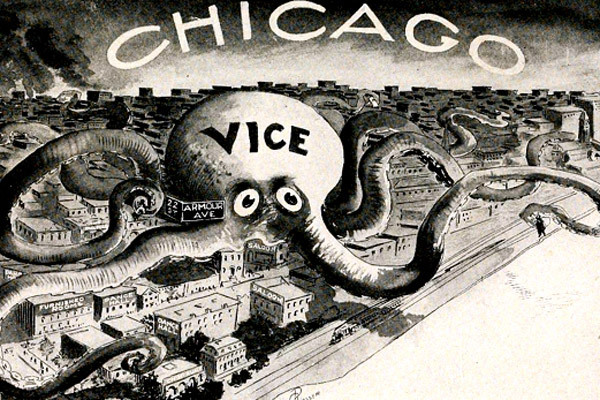 The Levee District, encompassing four blocks in Chicago’s South Loop area, between 18th and 22nd streets, had been the centre of the city's vice since the 1880s. It was littered with brothels, saloons and dance halls and embraced the notorious Everleigh Club. Prostitution boomed, many in the trade of 5000 women being white slaves and under-age girls, kept in place by $25 a week wages. Business was maintained by the like of white slaver Colosimo, "Levee Czar" George Little, and First Ward aldermen with colourful nicknames, Michael "Hinky Dink" Kenna and “Bathhouse” John Coughlin, while Bloom paid police for protection on behalf of a daunting army of madams and corrupt businessmen. Previously noted for his effectiveness in extracting confessions through the "silent treatment" of suspects, Nootbaar ceased to be the same regular headline act after Gleason stepped down in 1915, just before the end of Harrison's second term as Chicago mayor. One of Nootbaar's major successes, apart from cleaning out the Levee, had been assisting (under Shippy) in the conviction of Johann Otto Hoch ("The Bluebeard Murderer"), a German-born bigamist (real name John Schmidt). Hoch was found guilty of the murder of one wife but is thought to have killed 50 more. He was hanged in 1906. After a car accident, Nootbaar retired from the Chicago police force as a lieutenant in 1922 and moved to California. When he died, in Los Angeles on June 9, 1939, aged 73, he was described as having been "Chicago's most highly cultured policeman". 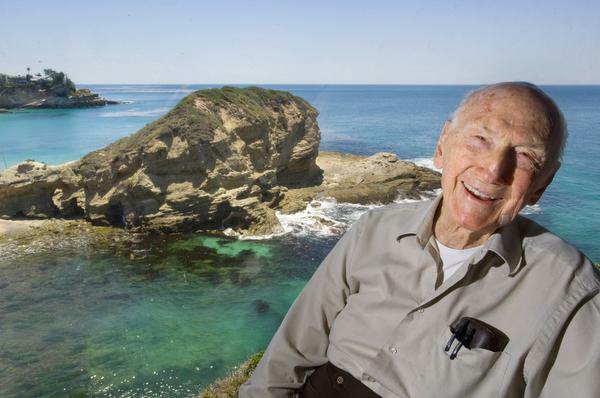 An obituary said, "He was noted for his precise mind and his strict adherence to police rules. The underworld regarded him as an official without a sense of humour. Captain Nootbaar stood out as a foe of vice." Nootbaar's youngest son, Herbert Victor Nootbaar, was born in Chicago on November 8, 1908, and is still alive, at the age of 107, living at Laguna Beach, California.